EghtesadOnline: Danish shipping group Maersk Tankers on Thursday said it would cease its activities in Iran due to the US decision to leave a landmark nuclear deal and reimpose sanctions against Tehran. 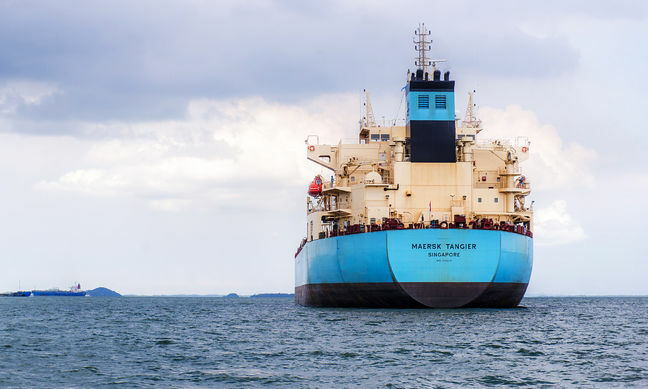 Maersk Tankers would honor customer agreements entered into before May 8, but then wind them down by November 4, “as required by the reimposed US sanctions”, the company told AFP. The group said it “has been transporting cargoes for customers in and out of Iran on a limited basis,” without providing precise figures for its activities. “I don’t know the exact timing details, but I am certain that we’re also going to shut down (in Iran),” Skou said in an interview following Maersk’s first-quarter earnings. MSC, the world’s second biggest container shipping group after Maersk, said on Wednesday it would stop taking new booking for Iran. Skou said higher oil prices, which followed the US withdrawal, were hitting its container shipping business because of higher bunker fuel prices. Oil prices hit their highest level since November 2014 on Thursday, with Brent crude creeping ever closer to $80 per barrel, according to Financial Tribune.